You probably came across this particular article because you are looking for eco friendly design ideas for your home or office. If so, then you are in luck. Our Malibu eco-conscious design firm would like to take this opportunity to provide you with some helpful ways to incorporate eco friendly design into your home improvement project, as well as list the benefits of including sustainable design ideas into your remodel. How Does an Eco Friendly Design Benefit the Environment? An eco friendly design utilizes sustainable and green elements and ideas to reduce your impact upon the environment and to minimize your carbon footprint. Hiring a Malibu eco-conscious design firm to handle your new construction or remodel will help to reduce the amount of chemicals that you release into the environment, the energy usage that your home requires, as well as the how your home affects its surroundings. Those who suffer from allergies, asthma, hyperactivity and chronic illnesses may be experiencing these health issues due to multiple exposures to toxins; and eco friendly design can be of particular benefit to these individuals. When creating an eco friendly design, have your Malibu eco-conscious design firm help you answer the following questions: How much energy am I going to use? Am I doing my best to reduce water usage? Can I use chemical-free paint and building materials? Can I incorporate recycled materials? Is what I am doing today with the design or building of my home or office going to negatively impact future inhabitants of our planet? If you keep all of these important questions in mind when going through the process of creating an eco friendly design, then you will be able to incorporate eco-conscious planning into the architectural design or interior design of your living or working space. 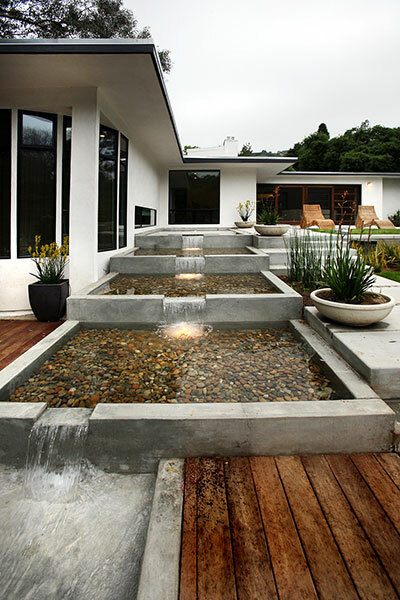 Busch Design Build, is a Malibu eco-conscious design firm that has been providing architectural and landscape design services for the past two decades. If you would like to learn more about our eco friendly design services, please contact us today. We also offer a wide range of other green services, including: Malibu Green Remodeling, Malibu Chemical Sensitivity Construction, Malibu EcoTech Build, Malibu pH build, and Malibu Eco Construction.